Here at Sandy Balls we are very lucky to have not one, but six adorable alpacas on park. Our original 4 are all half-brothers and are from the Huacaya breed, making them extremely fluffy. While our 2 latest additions are part Chilean! 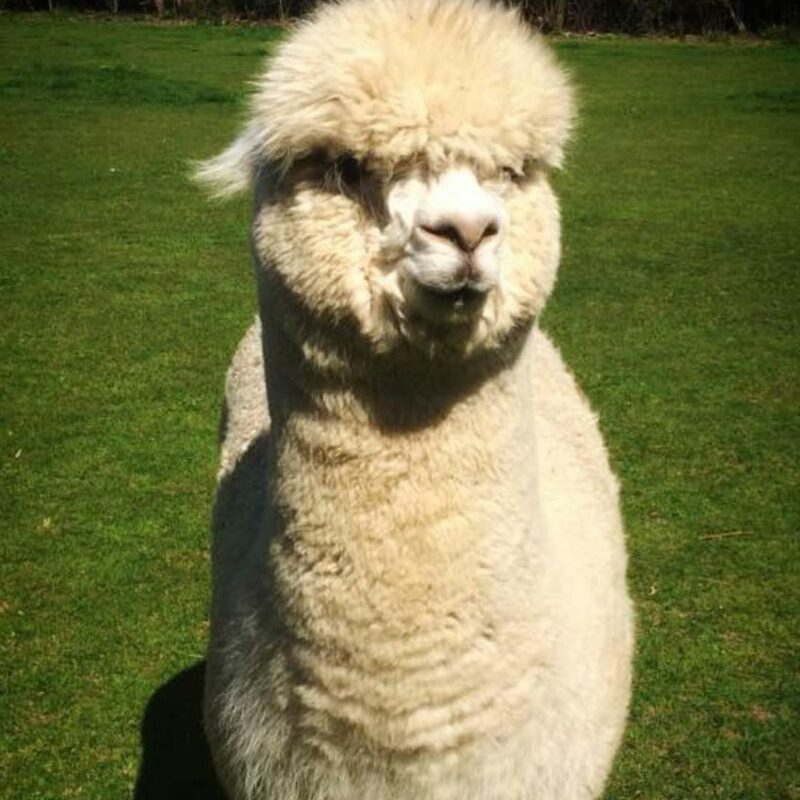 Each alpaca brings something unique to the crazy Away Resorts alpaca family and we’re excited for you to meet every single one of them! 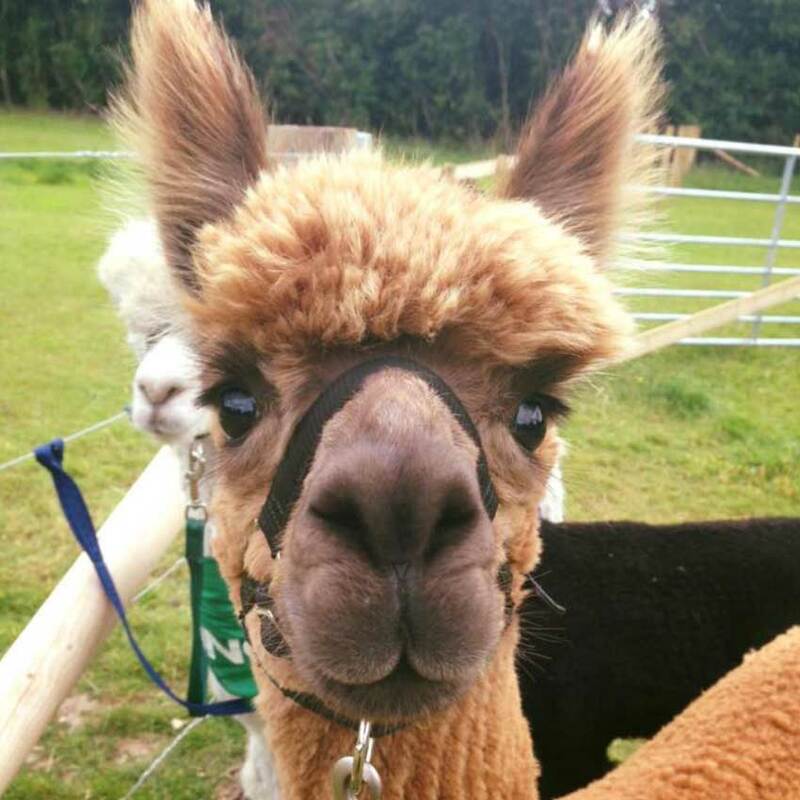 Inca is a very cheeky alpaca; his favourite thing in the world is food! The very special thing about Inca is that he’s the groups alpha male, which means he’s in charge. He always walks at the back of the group so he can keep an eye on his brothers. However, in Inca’s free time he can be a bit naughty, always trying to get under fences to get into the pen with more grass. Despite the fact Inca is white he always tries his hardest to look as muddy as possible. Despite Pickle’s name he is the angel of the group. Pickle enjoys spending his days relaxing in the field and keeping out of the way of any trouble and fuss. The special thing about Pickle is his little white nose which contrasts with his all brown body, making him easy to spot. Pickle does enjoy having a good scratch against a holly bush. However, he does have one naughty trait, when it is time to come out for a walk he likes to give the staff a good run around the field before he gets caught! 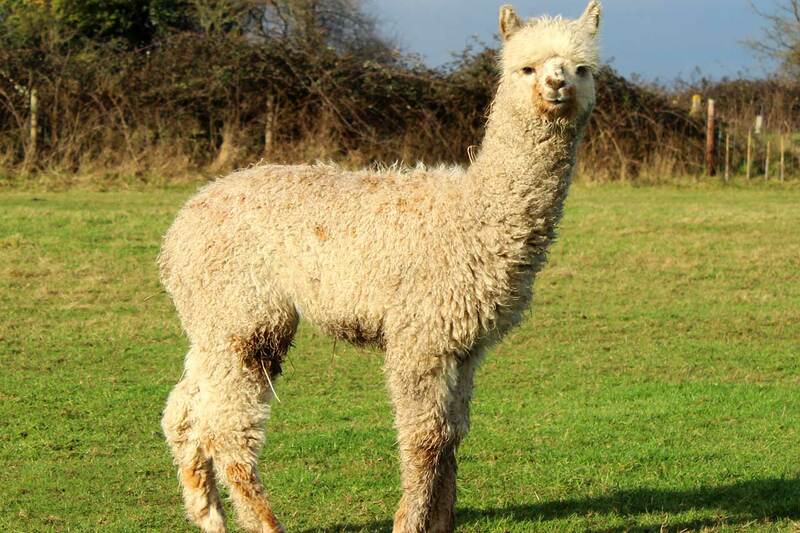 Pickle and Inca are the youngest of the four original alpacas. Archie is always the mummy’s favourite! He is our most handsome chap and loves to impress the ladies. Archie is our lead alpaca and guides the groups from the front but he is not the boss. His favourite thing to do when the weather is warm is to get sprayed down with a hose. He likes to lay in giant puddles of water which he makes using the sprinkler kept in the alpaca field. Archie has always been a bit of a scaredy-cat and we have recently found that he’s afraid of snow. In the summer, his lovely black coat is on show but it gets covered by a dark brown coat in the winter, he is definitely a very quirky little chap. The oldest alpaca in the group. Sandy (who is named after Sandy Balls) is definitely the park’s golden boy, gold in colour and gold in personality. 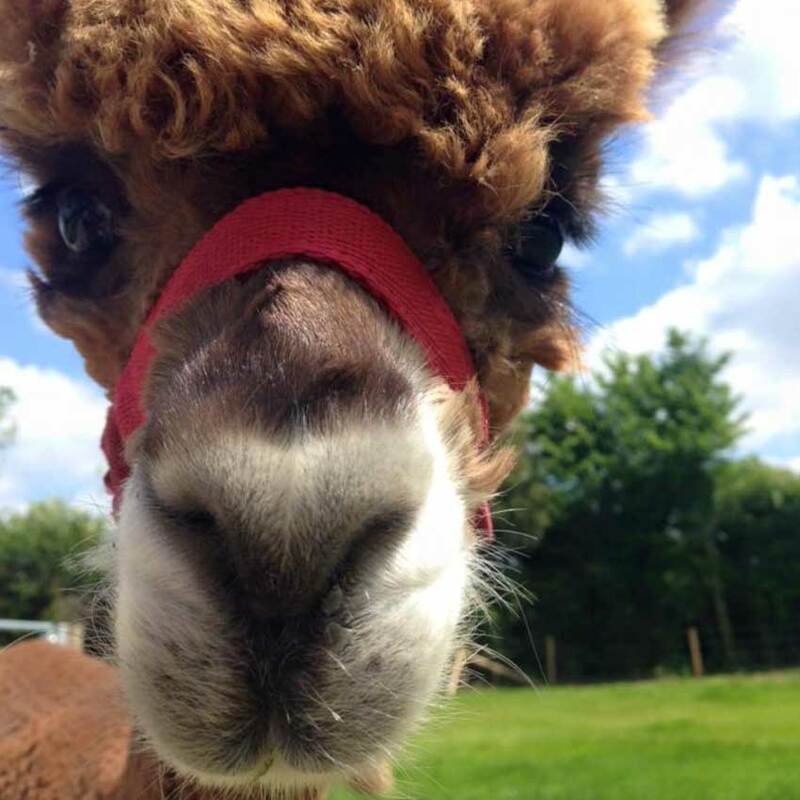 He is a big ball of cuddly fluff, Sandy loves coming out for walks and meeting new people but his favourite thing to do is getting that all important alpaca selfie! 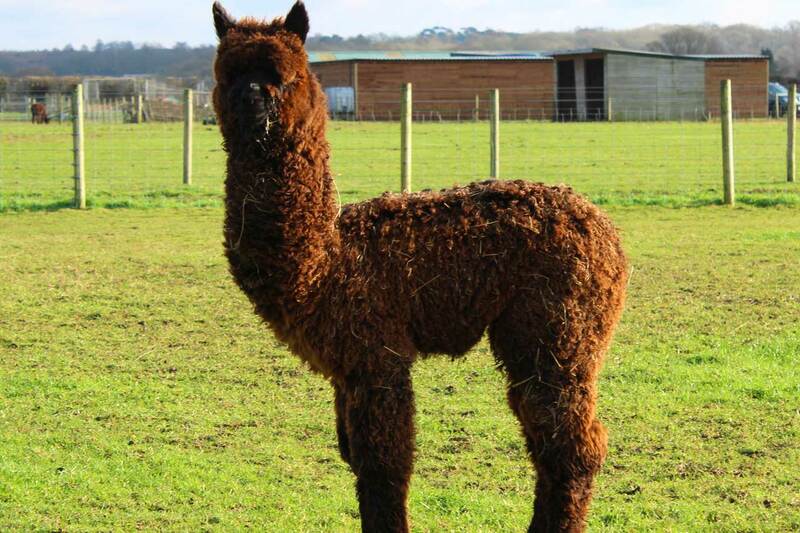 Sandy is the largest of the alpacas and loves to eat everything we tell him not to! Sandy is a bit of a fussy eater when it comes to dinner time and likes to have his very own bucket away from the others. He is certainly a smiley face you want to see every day and loves a good scratch behind the ears. As a result of our alpaca naming competition, we are excited to introduce Joey and Alfie! These very cheeky baby boys are not afraid of the spotlight and are eager to learn more about us humans everyday! They were born and raised in Ringwood and the interesting thing about these two is that they are both half Chilean (their mums were both born in Chile) and they are not related to each other, just best friends! Get up close and personal to our fluffy friends! 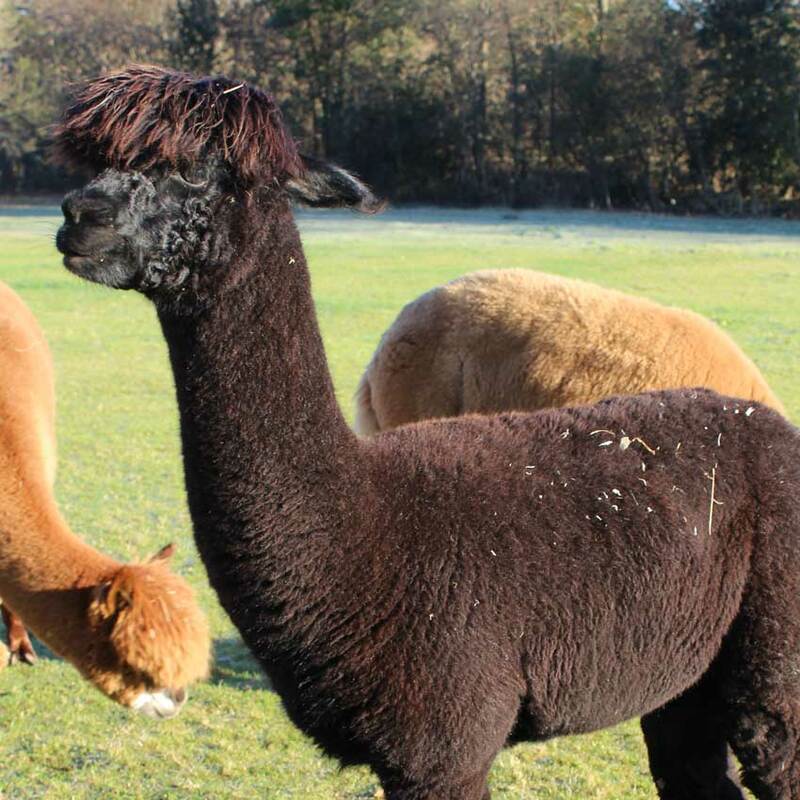 Guests at Sandy Balls Holiday Park are given the opportunity to gain an alpaca friend by taking one of them out for a guided walk through the New Forest – a great way to get in our alpaca’s good books! Book in advance to avoid disappointment. Take one of them out for a guided walk!